Telaya Wine Co. Archives - Write for Wine: It's Wine O'Clock Somewhere!Write for Wine: It's Wine O'Clock Somewhere! Tag Archives: Telaya Wine Co. 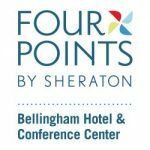 The third annual Northwest Wine Encounter will be held June 1-3 at the newly renovated Four Points by Sheraton Bellingham. The third annual Northwest Wine Encounter will be held June 1-3 in a new location, the newly renovated Four Points by Sheraton Bellingham. A winemaker reception, seminars, tastings and a gala dinner will be held to celebrate these acclaimed wine makers and their wines from Washington, Oregon and Idaho. Here is the list of participating winemakers. Posted in Oregon, Walla Walla, Washington, Wine	| Tagged Bellingham, Dunham Cellars, Four Points by Sheraton, Northwest Wine Encounter, Pepper Bridge Winery, Reustle Prayer Rock Vineyards, Spring Valley Vineyard, Telaya Wine Co.